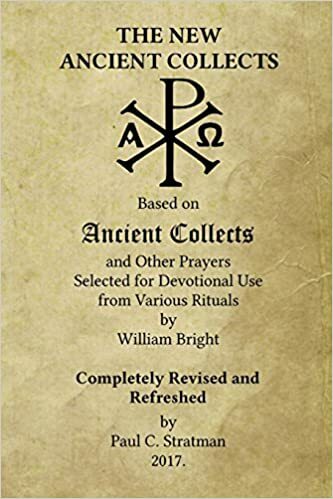 The New Ancient Collects – For over 150 years, Bright’s Ancient Collects has been a standard resource for classic Christian prayers. The New Ancient Collects is a complete revision and refreshing of all the prayers in Bright’s Ancient Collects with updated language. Click here to order through Amazon.com. NEW! 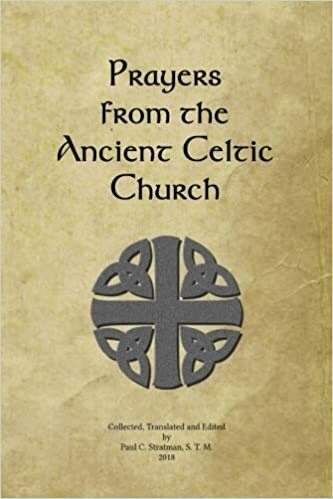 Prayers from the Ancient Celtic Church – A collection of prayers from the time of Patrick (d. ca. 460-493) to the Synod of Whitby (664), and also from the Celtic Christian tradition that remained after Whitby. A few of the prayers in this book may be familiar from their appearance in other prayer books. Some may be appearing in English for the first time. All prayers (with one exception) are rendered or revised into contemporary English with the hopes that they will be useful in private and corporate worship. Includes prayers from The Antiphonary of Bangor, The Lorrha-Stowe Missal, The Book of Cerne, The Book of Dimma, St. Patrick, St. Columba and many other sources. Click here to order through Amazon.com. 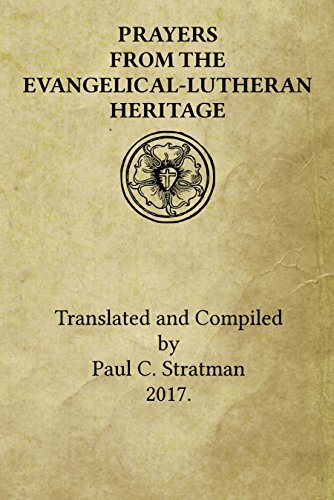 Prayers from the Evangelical-Lutheran Heritage –A collection of prayers from the history of the Evangelical-Lutheran Church from Luther to Loehe. The collection includes prayers by Johannes Bugenhagen, Georg C. Dieffenbach, Veit Dietrich, Matthias Flacius, Wilhelm Loehe, Martin Luther, Philip Melanchthon, Joachim Mynsinger, Johann G. Olearius, Johann Jacob Rambach, and the early agendas and prayer books of the Austrian, Brunswick, Hamburg, Lueneberg, Norwegian, Nuremberg, Pomeranian, Riga, Russian, Saxon, Schleswig-Holstein, and Swedish Evangelical-Lutheran churches. Click here to order through Amazon.com.